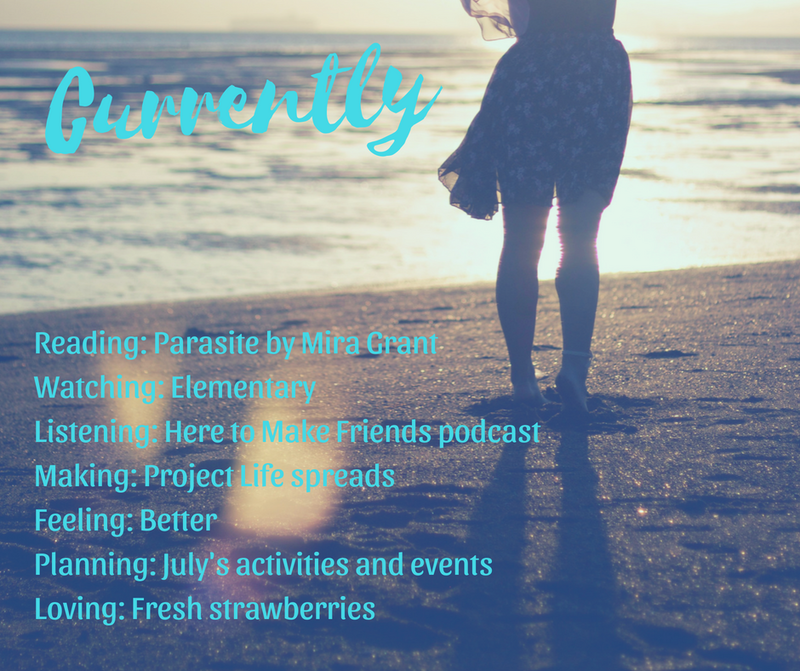 Reading: Finally reading Parasite by Mira Grant. And it's oh so good! I will definitely have to pick up the other two books in the trilogy. Watching: J and I are keeping up with the current season of Elementary. I'm wondering where they are going to take the serial killer storyline. Listening: Catching up on my Bachelorette recaps with Here to Make Friends. Making: Working on Project Life spreads once again. Hoping to finish out Arthurs 2017 album this month or July and keep current with the 2018 Family album. Feeling: Last week was full of ups and downs. This week seems to be getting off to a better start. Hoping it continues. Planning: Working on next month's activities and events. A few things are still up in the air and I need to get in touch with our visiting family. Loving: Every time we go to the grocery, we have to buy the yummy yummy fresh strawberries. Oh so good!